It's a question I get asked constantly since I returned from Turkey. Every-time I relive the experience I get excited about traveling all over again. 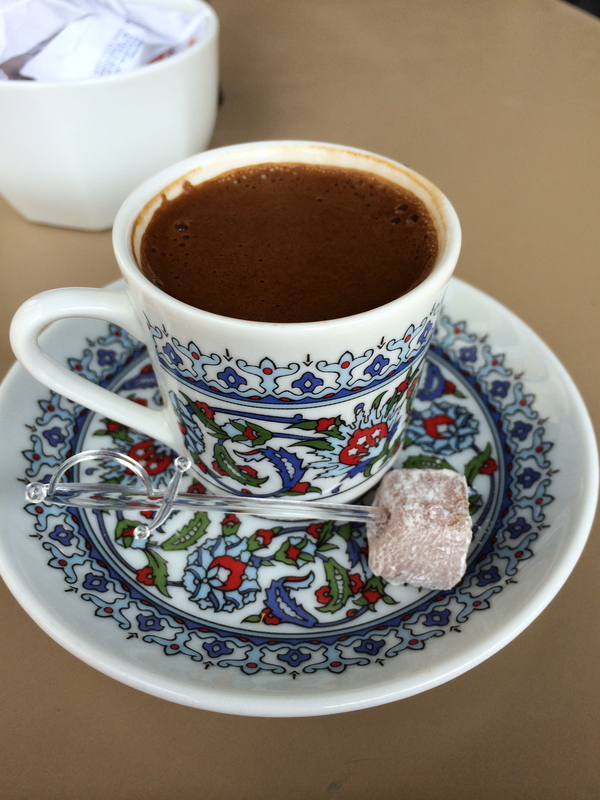 Being the foodie that I am, I fully intended to eat well while in Istanbul. I found the food to be tasty. Traditional dishes like kebab were served with rice and french fries. 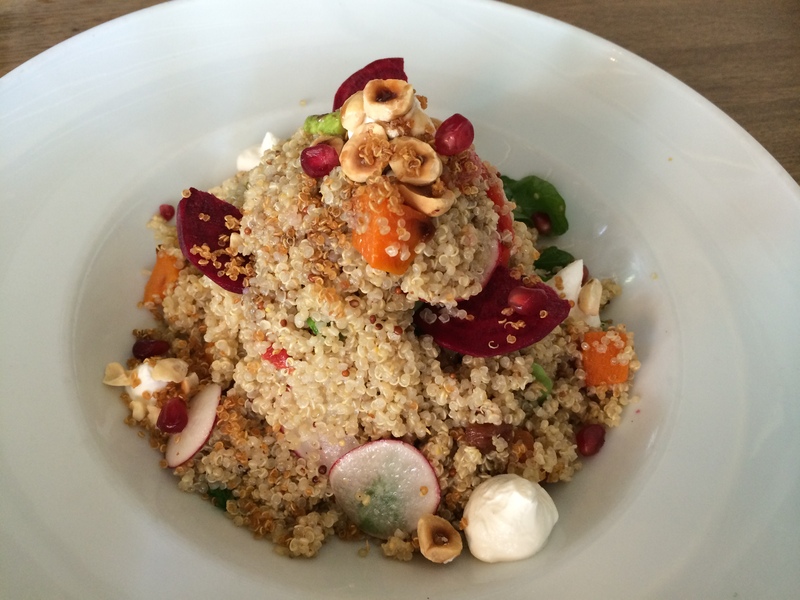 The food at more inventive restaurants like The House Cafe served dishes like this quinoa salad. The salad had my name written all over it. I couldn't even finish it, and trust me I tried. It had pumpkin, beets, radishes, arugula - they call it "rocket", and they topped it off with creme cheese blobs around it. That alone made the salad creamy, very rich, and made everything else in the dish burst with flavor. 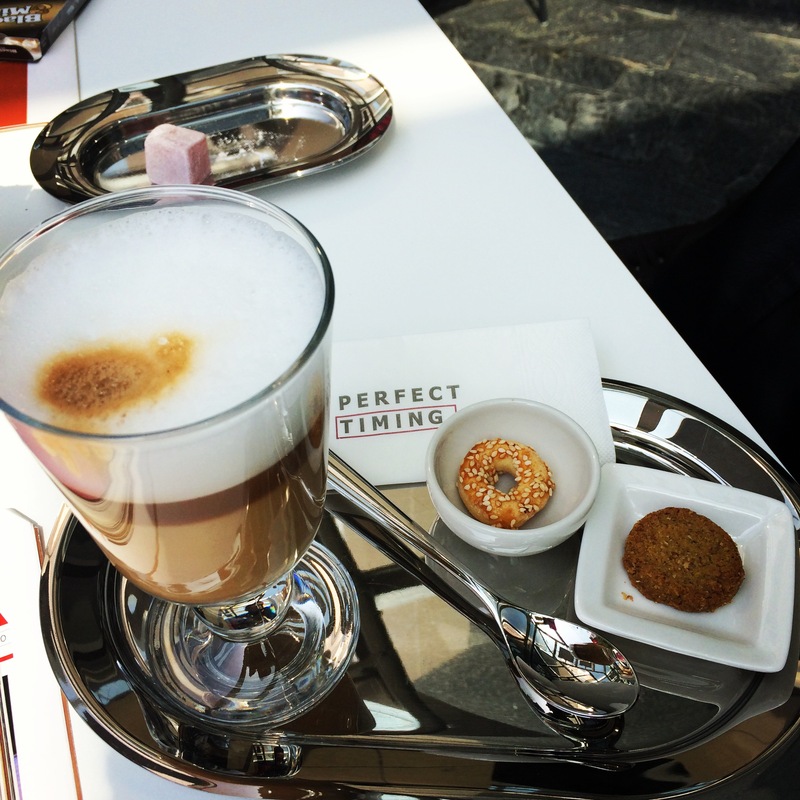 In the mornings I'd curl up with my iPad, catch up on stateside news on the patio, or in the lobby of the hotel and have a latte and small pastries. They also made sure to send over freshly made -- in house Turkish Delight! You see only 1 remains on my plate. The dish below is from Masa. Its located on the top of the one the more luxurious malls I've ever been to called Istinye Park. I made sure to finish this meal. 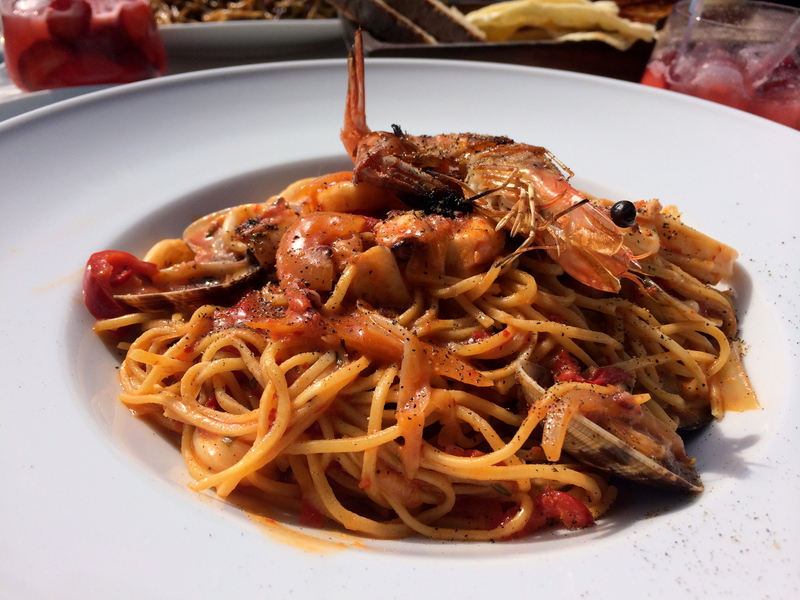 Seafood Spaghetti done just right with freshly ground pepper on top. 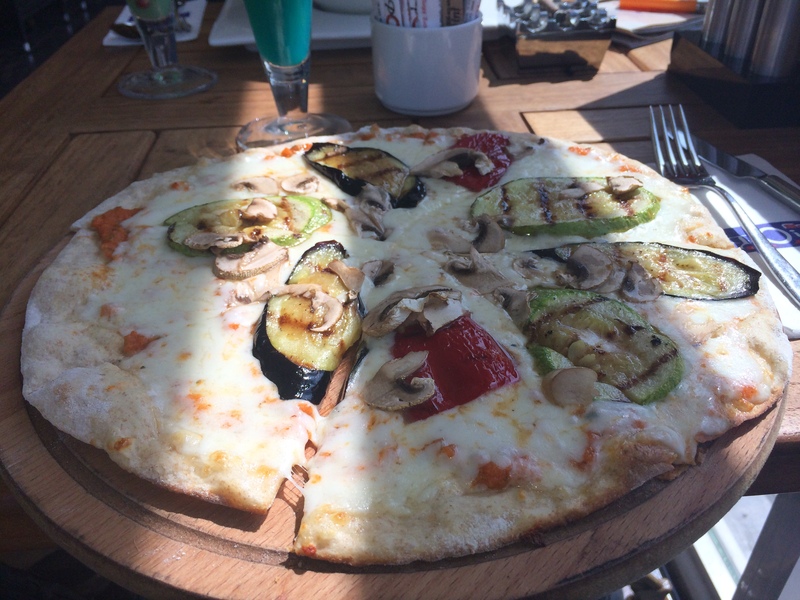 This zucchini pizza could have easily been shared between 2 people. I wish I would have known that when I ordered it. It was so good; I was actually disappointed I couldn't finish it. Our new good friend Yesmin, who we met whilst enjoying the fantastic Happy Hour in the Executive Lounge of the hotel, blog on that coming soon, and Turkey native suggested we end our last full day having high tea at the palace. Now when I heard palace I said "please indeed". So off we went after lunch at Masa, my BFF and I en route to Ciragan Palace Kempinski. It was definitely a new level of luxury for me. 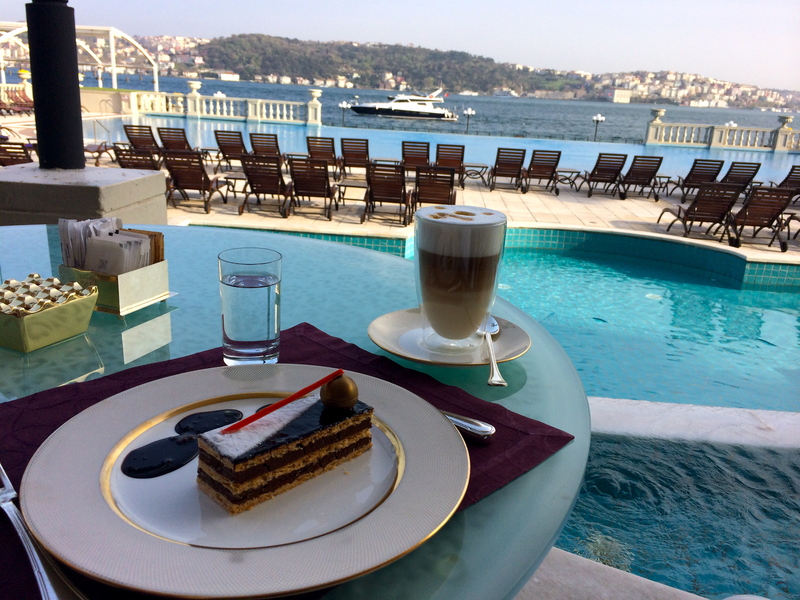 The location is amazing - overlooking the Bosphorus, it's indeed a fairytale destination that packs a punch! 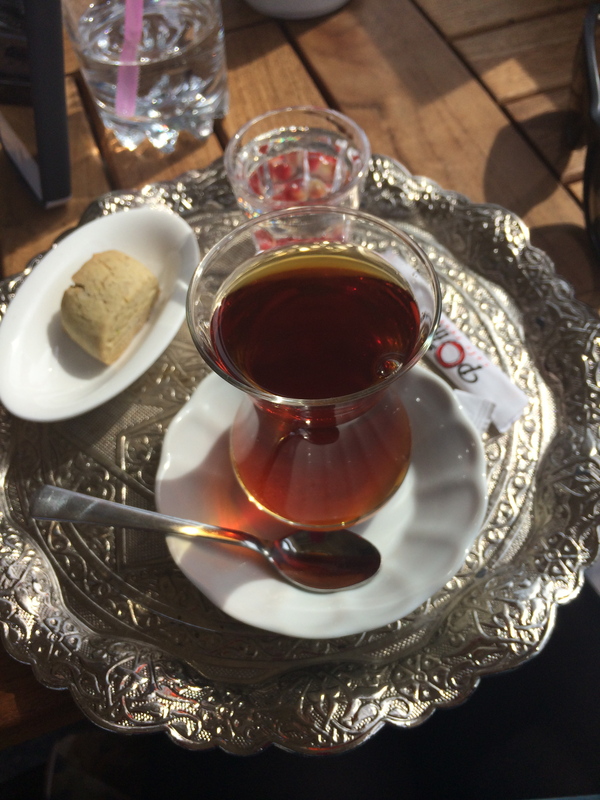 Of course no meal in Turkey would be complete without either Turkish tea or coffee. I loved that all of the simpler things, such as coffee and tea are always served with a side of infused water like the tea below, and also the lovely platters it's served on. 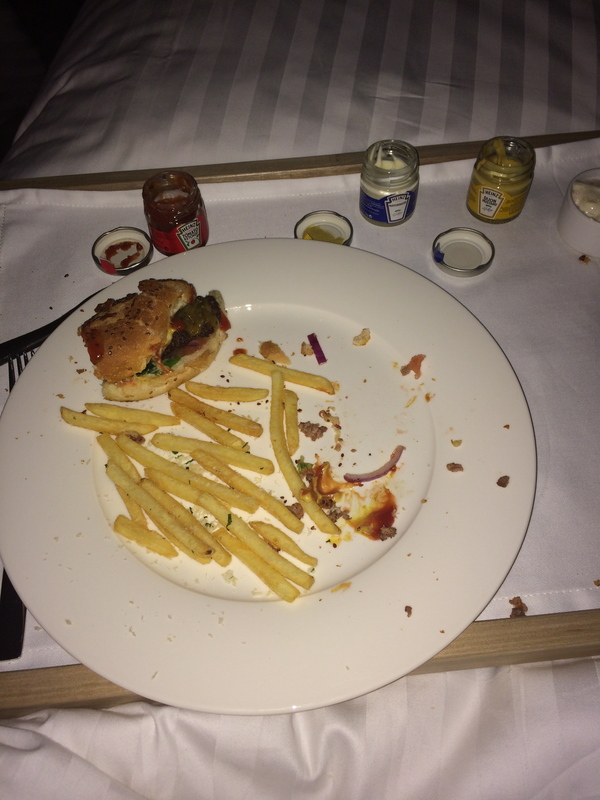 Of course we also partook in the room service offerings. Like the burger and fries I conquered after a particularly late night out. So, How was the food? Great!